Stylish villa rental for large groups set in a breathtaking valley, minutes from Ronda and close to Seville, Córdoba and Granada. 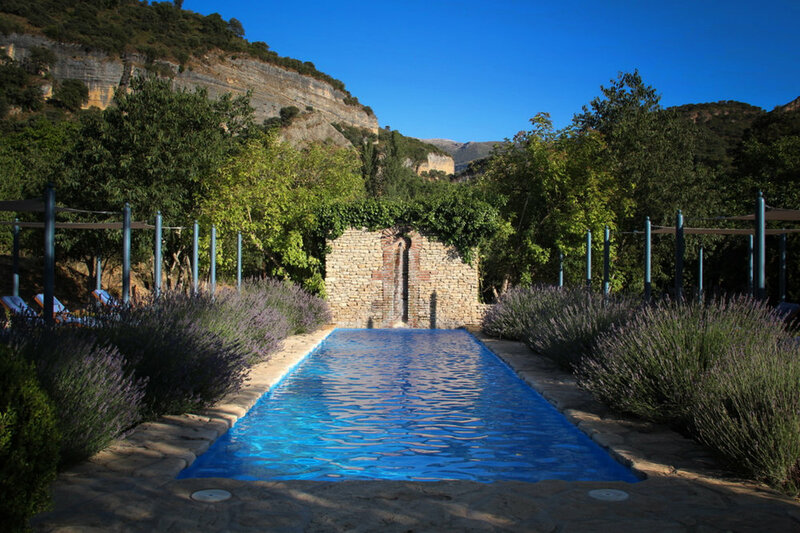 La Cazalla de Ronda is a large traditional Andalusian finca set in one of the most beautiful places in the Serrania de Ronda. From its quiet entrance at the end of a track, just outside the old town of Ronda, the ancient, oak-forested hills rise in front of the villa and the dramatic cliffs of the Tajo Del Abanico ('the Gorge of the Fan') mark the southern end of the Ronda valley. 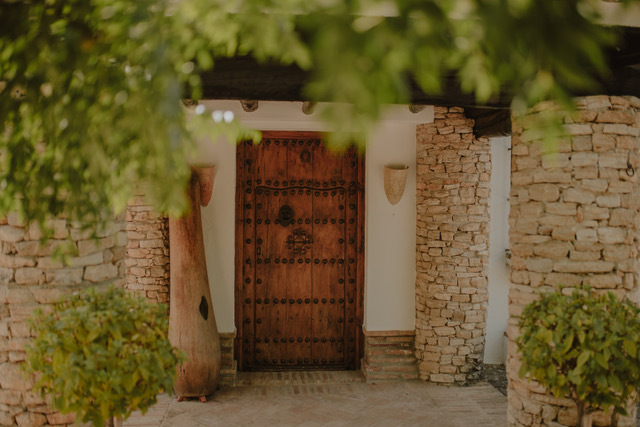 Carefully and stylishly restored to reflect its Andalusian and Moorish history, retaining many ancient artefacts from the original farm buildings, La Cazalla is now available as a luxury villa rental. Providing self-catering accommodation for large groups of up to 12 people, the Casa Principal (main house) has five spacious and airy bedrooms, all with en suite bathrooms, and is rented with ‘El Nido’ ('the Nest'): a private one-bedroom suite with its own entrance and courtyard. Nearby Ronda is the perfect picturesque base from which you can explore some of the major cities of the Andalusian region, including Málaga, Granada, Seville and Córdoba. This luxury villa rental in Andalusia was rebuilt 15 years ago from the old farm buildings that stood on the land and has featured in magazines such as Conde Nast Traveller and Casa y Campo. The private villa is surrounded by stunning scenery and is available to rent all year round. Perfect for family get-togethers, friends' reunions and group activities for up to 12 people looking for a self-catering holiday in the Andalusia region.